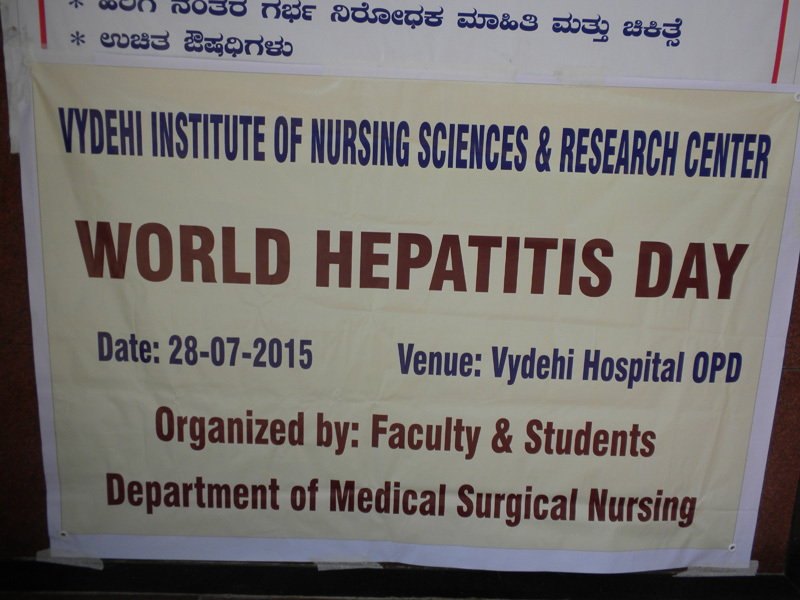 Vydehi Institute of Nursing Sciences andRresearch Centre has celebrated world hepatitis day on 28/07/2015. 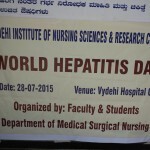 The World hepatitis day observed on July 28th every year. The aim is to raise awareness of the different forms of hepatitis, strengthening prevention & screening and control of viral hepatitis. 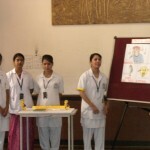 The theme for 2015 is “PREVENTION OF VIRAL HEPATITIS.” The department of medical surgical nursing and the student nurses (2nd year B.SC nursing, 2nd year PBBSc and 1st year M.Sc(N)) were organized an exhibition. 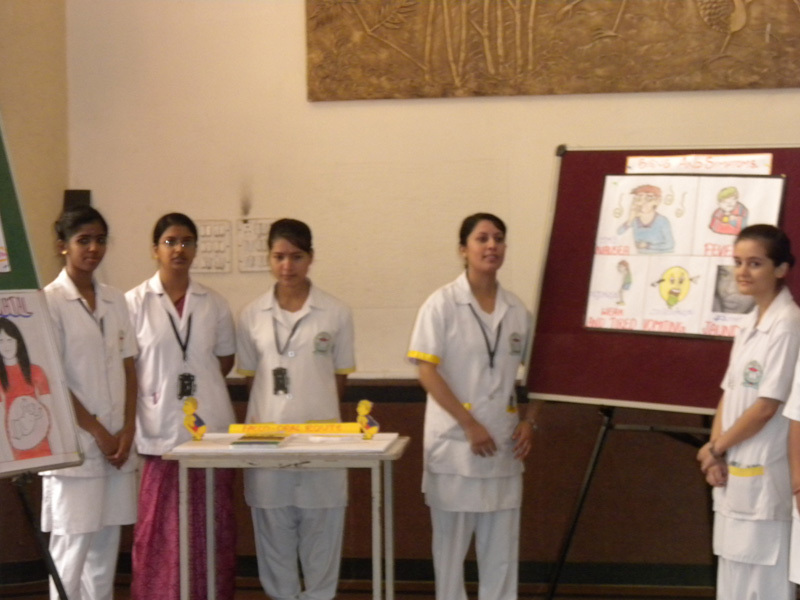 It was conducted in front of OPD in Vydehi Hospital. 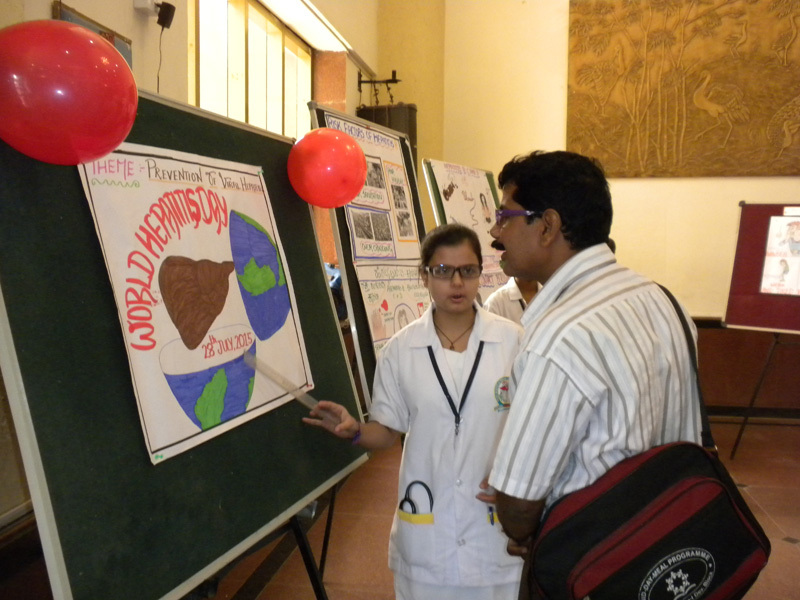 MS.Dhanalakshmi superintendent of Nursing has inaugurated the exhibition. 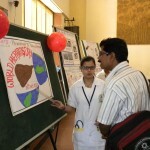 The program was progressed with exhibition of the charts and models by the students.